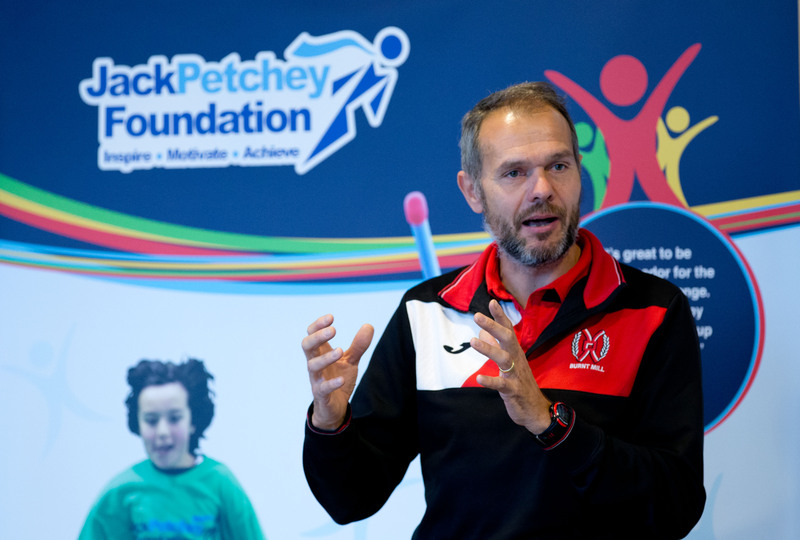 James Hillier is the 10th winner of the Jack Petchey Outstanding Achievement award – Panathlon’s top annual honour for our competitors in London and Essex. James, from Ruislip, was selected by the Jack Petchey Foundation judges as this year’s winner for his infectious enthusiasm for Panathlon competitions in the face of severe and complex physical disabilities. 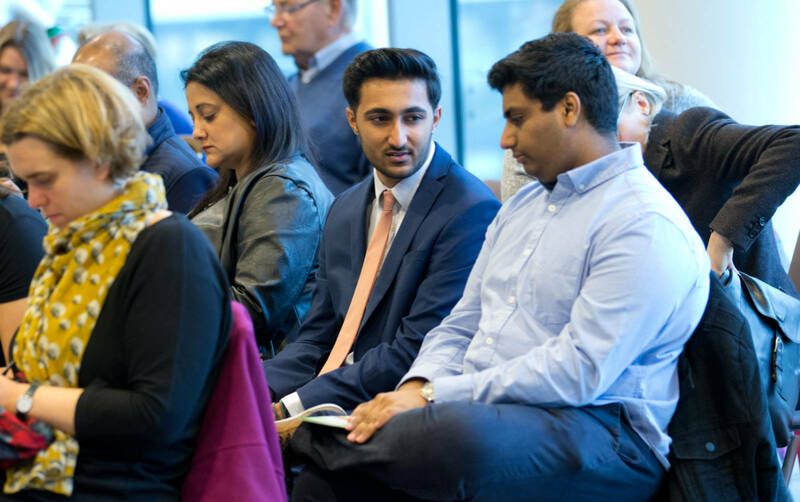 Kinza Yasin, 13, of Burntwood School in south-west London and Piravien Chandrarajan of Waverley School in Enfield both received ‘Highly Commended’ trophies at Friday’s ceremony, which took place at John Lewis Stratford, overlooking the Queen Elizabeth II Olympic Park. 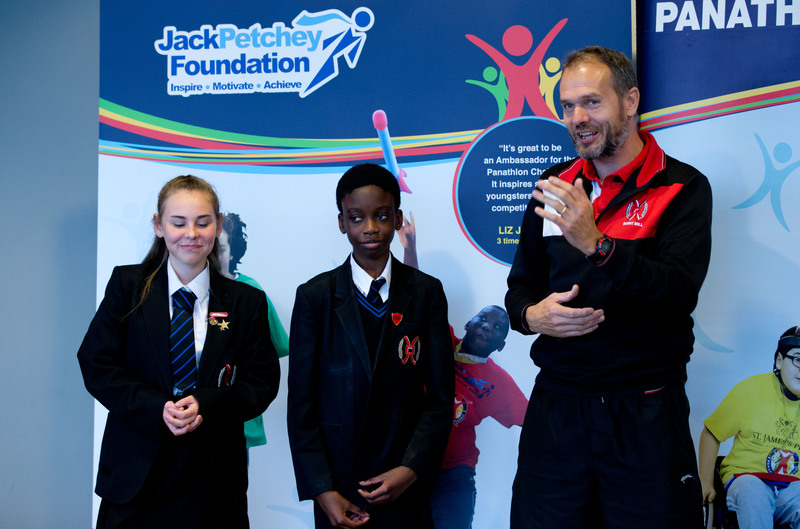 The prizes were presented by Panathlon Ambassador and Paralympic gold medallist Liz Johnson, Gemma Juma from the Jack Petchey Foundation and special guest Matthew Key. The awards included the Special Recognition Award for Excellence in Sport Leadership, the Hassan Ahmed Outstanding Sporting Achievement Award, Young Leader of the Year and the inaugural School Newcomer of the Year. To read about the winners of these awards, click here. It was 16-year-old James (pictured right with Liz Johnson and Jack Petchey Foundation’s Operations Director Gemma Juna) who went away with our top honour – the Jack Petchey Outstanding Achievement award. James suffered hypoxic ischaemic encephalopathy during birth and as a result acquired quadriplegia and athetoid cerebral palsy. In 2008, he was diagnosed with generalised epilepsy but thanks to medication has not had a seizure for four years. He also has dystonic spastic cerebral palsy, gross motor function classification level 4. Consigned to a wheelchair or Kaye walker, James benefitted from physio sessions and an exercise plan which he did with a teaching assistant at Ruislip High School. He joined in with PE lessons whenever possible, discovering a passion for trampolining. It was at Panathlon competitions where James’ confidence really began to soar. He took part in the powerchair slalom, beanbag throwing and athletics races. He later became team cheerleader and helped with planning trips to competitions, even designing his own banner for the school’s Panathlon team. Now physically more adept and outgoing, he enjoys horse riding and has joined the Brunel wheelchair basketball club. “I’m incredibly proud of James,” said his mum Yvonne. “He has great determination, loves to try different things, he’s always up for a challenge and he’s got no fear. It’s wonderful that his achievements have been recognised today. James was nominated for the award by Janet Edwards, his teacher at his old school, Ruislip High in west London, where he left this summer to study at Uxbridge College. Mrs Edwards commented: “James will have a go at any challenges set for him and does not see his disability as an obstacle. He is a credit to Ruislip High. Kinza Yasin from Mitcham was one of two ‘Highly Commended’ award winners at the ceremony. Her osteogenesis imperfecta – also known as brittle bone disease – means she needs to maintain a physically active lifestyle to help prevent fractures. Ironically, that increases the danger of her breaking her fragile bones through falls. Panathlon has greatly helped 13-year-old Kinza solve this paradox, allowing her to gain confidence in her physical capabilities, get out of her wheelchair, engage in competitive sport and proudly represent Burntwood School. Kinza’s condition is severe and incurable and consists of a group of genetic disorders that mainly affect the bones. She arrived from Pakistan with her family aged six but soon started losing strength in her legs and lost the capacity to walk. She had a metal rod implanted into her left leg in 2011, then a second operation three years later. Her self-esteem, confidence and motivation dropped due to the pain and the knowledge that breaking bones would require further surgery. Gradually, she was persuaded to join in PE lessons at school in Year 7, initially coaching and umpiring from her wheelchair and participating in limited activity. She started to join in with extra-curricular activities and set up a book club at her local library. 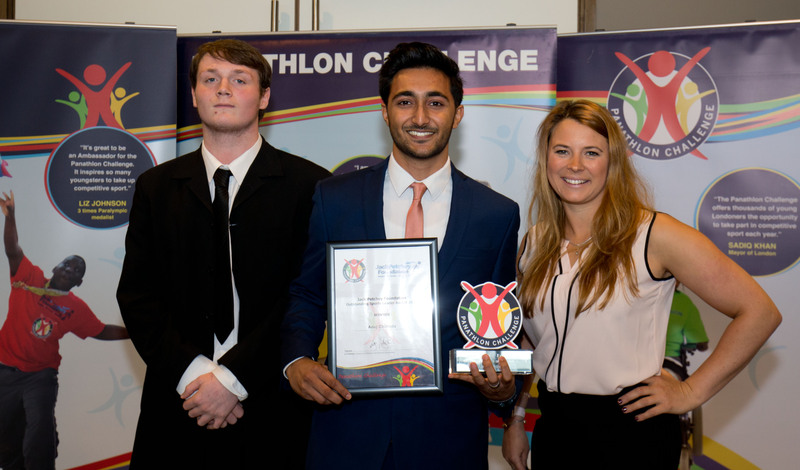 Joining the Panathlon team was a turning point. She built up the courage to get out of her chair to stand or walk, became more confident in her stance and eventually took part in Panathlon relay races on foot. 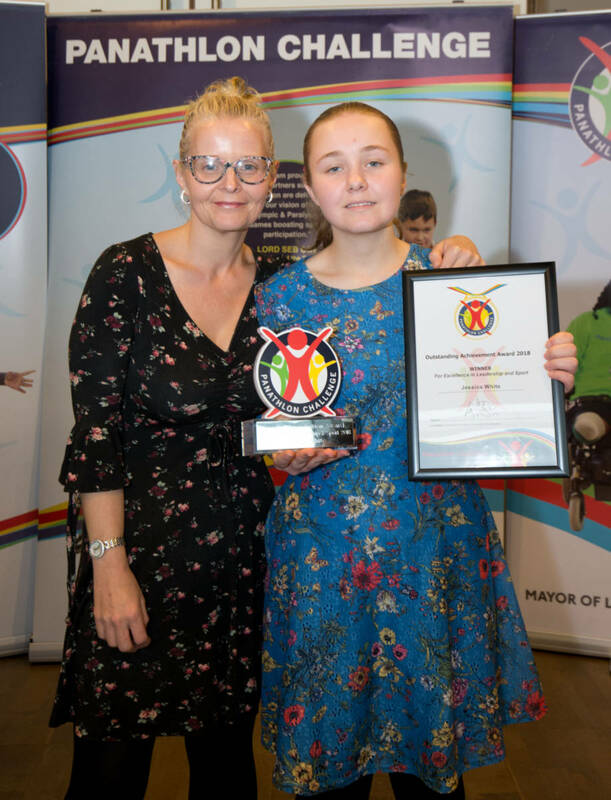 She has since won many Panathlon medals for Burntwood over the last two years and has participated in football competitions, volleyball and netball. 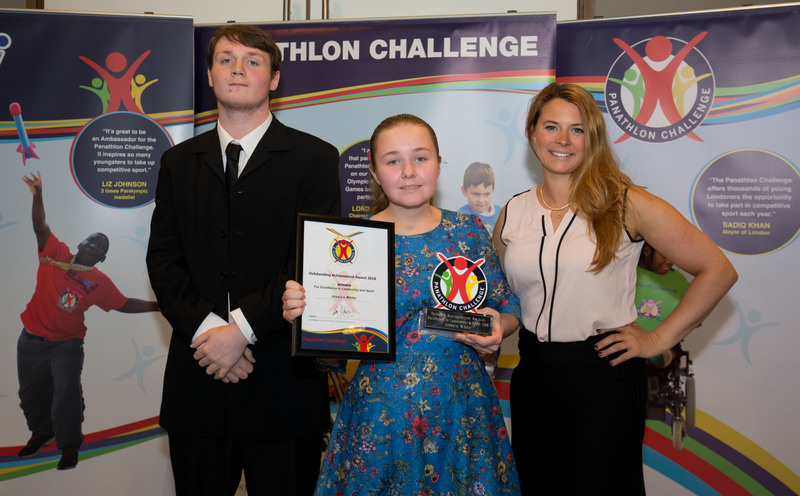 “I think from last year she realised when she ran in the Panathlon that she could do and take part in a lot more,” said her teacher Cathryn Potter. “Now there is no sport she is not willing to try. Her courage to fully engage in sport is truly amazing. The risk for her when playing sport is huge. If she falls or gets knocked she will be in considerable pain and there is a high chance of fractures. The other ‘Highly Commended’ award winner was 17-year-old Piravien Chandrarajan. His severe multiple disabilities affected his confidence and self-esteem, but Panathlon competitions have been the platform for him to flourish on the field of play, in the classroom and in everyday life. He has the very rare condition of Cat Eye Syndrome (CES – also known as Schmid–Fraccaro syndrome), only has the use of one eye and is also deaf. His ears require regular operations and he suffers from continual cysts and infections. He communicates through limited sign language and uses a Baha implant. He also has severe learning difficulties. Piravien used to refuse to wear glasses due to a lack of confidence. Initially Piravien was reluctant to engage in work at Waverley School in Enfield, north London, and would abscond from class and self-harm. His teachers described his levels of behaviour and self-esteem as “incredibly low”. He discovered a love of table cricket and was taken on walks in the playground which at that stage was a major breakthrough. From there, he joined his Waverley team-mates at his first Panathlon competition and has since become a passionate member of the team, contributing to Enfield’s second-placed finish at the London Multisport Final at the Copper Box Arena in June. The skill and guidance of staff at Waverley, and his engagement in Panathlon, have led to Piravien becoming a calmer, happier student who loves to learn. He has begun work experience one day a week in a local charity shop and has set himself a goal of going to college in two years’ time. His teacher, Jenny Buck, said: “For Piravien to be targeting a place in college is a remarkable situation considering where he was two years ago before joining Panathlon. The other Panathletes longlisted by the Jack Petchey Foundation judges were: Aaron Roberts (Marlborough School), Airin Noby (Seven Kings), Charlie Reeves (Sydney Russell), Ellis Broome (Hall Mead), Pedro Jesus (Evelyn Grace), Rukhsar Ahmed (Kingsley High), Thanushan Uthayakumar (Whitefields) and Victor Oso (Jo Richardson). At the ceremony, it was announced that the Jack Petchey Foundation, Panathlon’s longest-serving supporter, would be donating £123,465 to provide sporting opportunities for disabled young people in London and Essex in 2018/19, bringing its total donations to Panathlon to almost £1million over the last 14 years. Read more about the funding announcement here. Thank you to our generous hosts, John Lewis Stratford City.